I recently told you about how beets can help your skin, both by increasing your circulation on the inside and supplying antioxidants on the outside. I mentioned several ways beets can help your face, as they are actually a great ingredient in homemade face masks and toners. 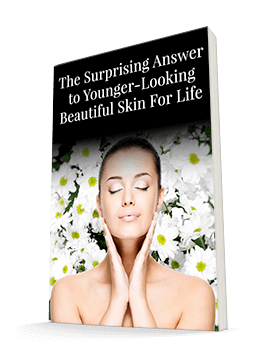 But sometimes it's so easy to focus on the face that we forget that our skin covers the rest of our body too! And that would be a shame because beets can benefit your skin from head to toe. Even if you work out and eat right, most women find that they still end up with at least a little bit of cellulite. Fortunately, beets can help with that! Simply grate 3 medium beets and mix them with 3 tablespoons of raw honey and a teaspoon of black pepper. Then apply the treatment anywhere you'd like to reduce the appearance of cellulite. Wrap it up in cellophane to keep it in place, and let it soak in for 30 minutes before rinsing. Do this once a week for smoother skin. If you'd rather get beets' benefits from the inside than spend time applying them (or if you'd like to do both! ), you can consume beets instead of treating them like cosmetics. 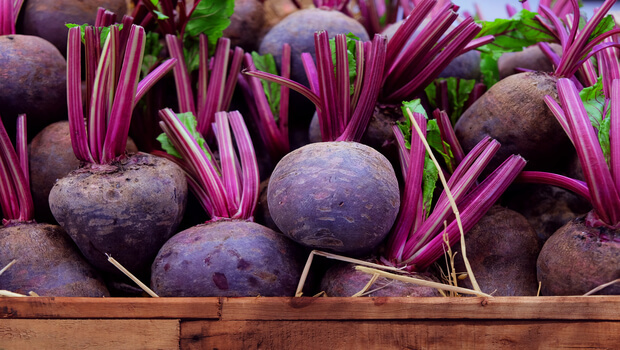 Because beets are a great source of nitric oxide for the body, they boost circulation and give you a healthy glow. There are a few ways to get beets into your system. Of course, you can eat them. This can be great occasionally, but I know that preparing beets can be not only a lot of work, but a big red mess. And you may not want to eat beets every day, but probably want to maintain your healthy glow every day. So the easiest way to get in a daily serving of beets is to drink them. Some people recommend drinking beet juice, possibly mixed with other juices — but that's again a lot of work and a mess. Fortunately, there's a better way: SuperBeets powder. You'll get all the benefits of beets in just one scoop, which you can mix with water. It's fast and easy to take. You also can put the powder in almost any flavor of smoothie. It tastes great and will often add a tasty sweetness. A friend of mine puts the powder on oatmeal and loves it. Bryce A. Mander, Joseph R. Winer, Matthew http://www.lahealthyliving.com/natural-remedies-remedies/fast-ways-to-get-perfect-skin-with-beets/.